You must be familiar with a squat rack if you are a gym guy. This article is actually about the best quality cheap squat racks. But first, you have to know what is it and why it is needed in your home gym. Generally, a squat rack can be of various forms like cage-like shape, stands etc. It is used to hold the barbells in a suitable position so that you can use the barbells easily and to ensure more protections. with a good quality squat rack, you can be able to deal with a full-body exercise. After all, squat itself is kind of full-body exercise. If you have a home gym, you should keep it. It will make it possible for you to do Romanian deadlift for back and legs, standing shoulder press, Up-right barbell row, military press, bench press, and many other useful and effective exercises. If you want to have an easy to transport type rack then I will suggest you to not to look for a cage. Stands are good and easy to transport. But if you have a big size home gym, then a cage is the best idea. However, here, I have tried to compress a list of 6 best and cheap squat racks which are available and affordable. So, you don’t need to think much about where to buy the squat rack and can get it easily. 0.0.0.1 so, how much are squat racks? so, how much are squat racks? I know you are searching for an inexpensive but good quality squat racks. Cheap does not mean the product will be bad quality or won’t be long-lasting. If your requirements are not long, then you will find a squat rack budget under 70. On the other hand, if you want a squat cage and with lots of updated features then it may cost you 300 to 400 dollars. Bellow, I have discussed 6 cheap squat racks that features are high but budget friendly. So, let’s have a look at them and I hope you will soon find out the best squat rack or stand for you. To keep your barbell in a perfect height that will make your squat easy, you need an adjustable squat rack. So, meet Yaheetech Pair of Adjustable Squat Rack, one of the best cheap squat racks for the barbell. This amazing rack is very good to look at and it includes a number of amusing features. • A set of two-piece metal and durable squat racks. • Can hold over 480 lbs. • You can adjust the rack height from 44″ to 70″. • Includes 14 adjustable height holes. • Good suit for your home gym and also for any commercial gym. • Includes safety pin on each post. • Offers anti-skid foot pad. How much does yaheetech squat rack cost? This squat rack is affordable if you have budget around 70 or 75. 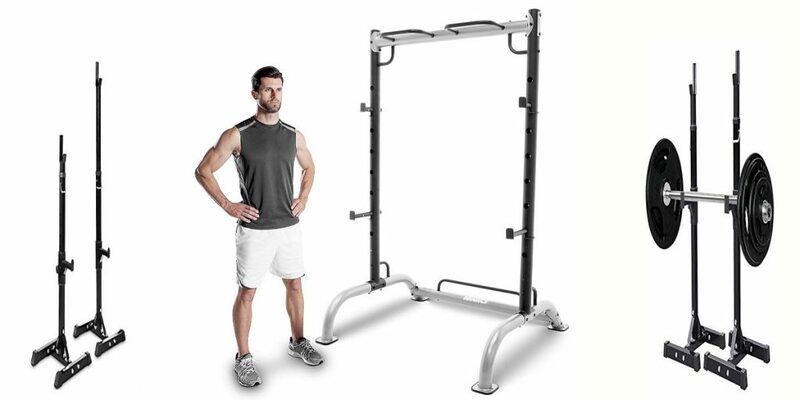 This stunning and durable rack is capable of providing your home gym perfection. So, if you are interested in it, I can guarantee that you will love it. Let’s have a look at another awesome portable squat rack, F2C Pair of Adjustable rack. It is also one among the best cheap squat racks you can buy for your home gym. So, it is affordable and available everywhere. So, you don’t have to think much about where to buy a squat rack. However, let’s have a look at its features. • A good combination of two adjustable racks. • Can hold up to 550 lbs. 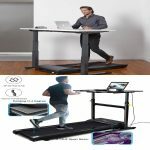 • Let you adjust the height from 41″ to 66″. • Provides durable end caps made with rubber to protect the floor. • Offers 13 positions to adjust the heights. • Good for a home gym. How much F2C squat rack cost? This 550 lbs squat rack does not ask too much, you can get this equipment within 55$. So, now it’s up to whether to choose it or not. But I think you should give a rethink to it as it is really a very inexpensive rack and all the features are good to give great service. Now, meet a cage with extreme loaded capacity, TDS Power Rack or Squat Cage. 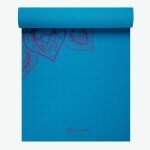 It is really a great option for you because it is durable, easy to use and budget friendly. This amazing rack has come with a handful of impressive features. Let’s have a look at them. • Much durable as it is made of 11 Gauge Steel Tube. • 31 holes to ensure the adjustment. • Capable of holding over 1000 lbs. • It is not easy to transport because it is over 150 lbs. • You can use it for dealing with squats, bench presses, inclines, seated and standing military presses and so on. So, how much this TDS squat cage cost? This is squat cage and it features a lot. You will get this cage only 300$. Affordable if you want a cage but expensive if you just need a squat stand. As it is a big size cage and so, you have to think again before you choose it up. But if your home gym is special and not tiny in size, then it is the best one for you. Gymax has presented another must-have cage for your home gym. To keep this rack, you must have a big size exercising room. However, this stunning cage is durable and it is packed with a group of trendy and useful features. So, let’s have a look at them. • It is black in color and steel made cage. • Looks great and durable. • Provides 14 holes for perfect adjustment. • It can lift over 450 lbs. • Good for the exercise of the chest, back, arm and legs muscles. • You can change the height of the barbell from 18″ to 68″. How much Gymax power cage cost? 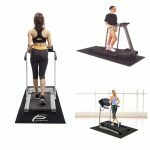 You can get this all in one exercise station if budget under 300. For me, it is one of the finest station based on its price. This cage features everything, so if you can increase your budget a little bit you will get the best power cage at your home. This power cage is very useful and trendy. 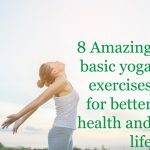 For a full body exercise, it is a great solution for you. So, now just look at the size of your home gym and think of it is a suit or not. If it is then you can rely on it. Now let me introduce you with an amazing barbell stand, offered by Marcy. It is Marcy Cage Squat Rack which is specially designed for pull up and push up. This stunning cage is also a suitable one for a big size home gym. However, this impressive squat rack is also one of all the best inexpensive and cheap squat racks. However, it includes a number of fascinating features. • It is 42 x 60 x 66.5 inches in length, width, and height. • It is coated with sleek gray powder. • You can adjust the height from 44” to 60”. • It can hold over 300 lbs. • It is very easy to transport as it is only 90 lbs. • Safety lock and screws are also available here. How much Marcy squat rack cost? This easy to transport squat rack will cost around 160$. The rack looks very beautiful and it features something different from the other. I love the design and features. 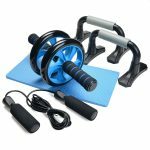 I think this product will enhance the beauty of your home gym. As a power case, it is lightweight and very affordable. This stunning cage is recommended for being so simple in design and also for it is very good for the home gym. So, you can give a try on it. Goplus squat rack is the last one, I will mention as another breathtaking pair rack for your home gym. It is really affordable and one of the best available and cheap squat racks in your town. Again, it is very light in weight and so, you can move it very easily. Now, you can have a look at the features of this stunning and inexpensive squat rack below. • Can hold up to 390 lbs. • Adjustable barbell stand and the height range is from 42″ to 67″. • Made of Heavy-Duty Steel. • Good for pressing, bench, and standing. • Safety catch bar is also available. • Rubber end caps are here for protection. How much Goplus Squat rack cost? This rack is not very expensive. The company provides a 100% risk-free satisfaction guarantee. So, you can buy this product with confidence. They also ensure you that you will be super impressed with the high quality and durability of their dumbbell stands. It is really a great thing you can bring to have a perfect home gym. It is budget friendly and has transportable pairs of stands. So, I will recommend you to pay a deeper concentration on it because it is just awesome. Again I want to remind you to pay concentration on your needs. Think wisely if you need a transportable one like stands or a cage for more facilities. However, the decision is now completely up to you. I hope you are concern about your essence and you will get the best one for you.